Put simply, Pub Theology is an opportunity to gather in a public space (a restaurant, pub, bar, etc. ), around food and drinks, to discuss a wide range of topics relating to faith, spirituality, theology and daily life. We are aware that many people have interests or questions relating to faith and spirituality but for one reason or another can’t see themselves spending time within the walls of a church. The point of pub theology is to choose a non-threatening, neutral, location that allows for honest conversation without all the challenges that a traditional church setting might bring up. Also we can drink Beer. This group is open to anyone and everyone. Whether you regularly attend worship, rarely attend worship, or don’t ever attend worship, there is a place in this group for you. 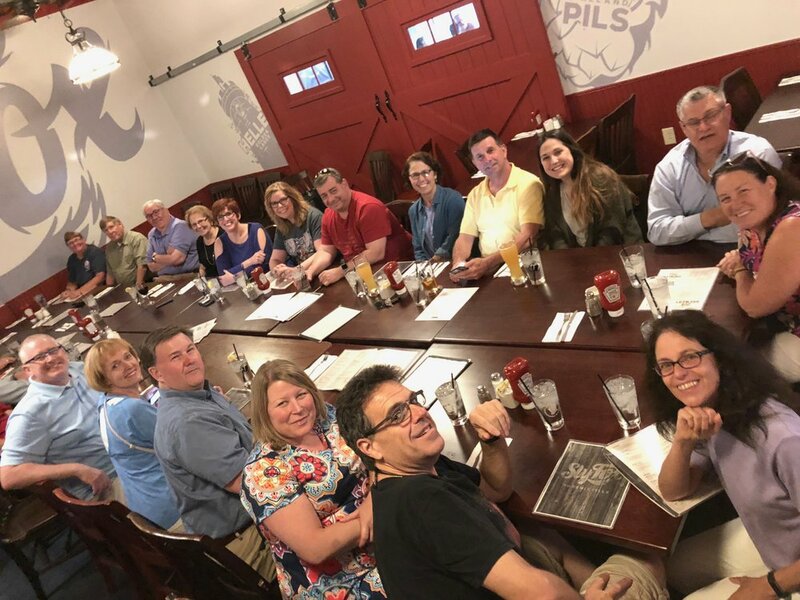 We meet as a group once a month at either Sly Fox Brewhouse or Bistro on Bridge. Please look below for our upcoming meeting information. Monday, March 25th at 7pm. We will meet at Bistro on Bridge in Phoenixville. Our topic for the evening will be: Lent, Fasting & Digital Minimalism.